This was the site of Fernhill Heath Station on the line from Worcester to Droitwich. Fernhill Heath Station closed 5th April 1965. Both photographs taken by Andrew Smith. The photographs above are reproduced by permission of Brian Penney and recall an incident that took place on 2nd January 1951. Worcester based ex-GWR 'Hall' class 4-6-0 No.5943 'Elmdon Hall' was working the 06:33 Worcester to Wolverhampton Class B freight train when it collided with ex-MoS 'WD' class 2-8-0 No.79232 which was backing a sugar beet train into the 'down' loop. Both engines finished up on their sides. No.5943 was re-railed later the same day but No.79232, which was clear of the running lines, was not re-railed until the following weekend. 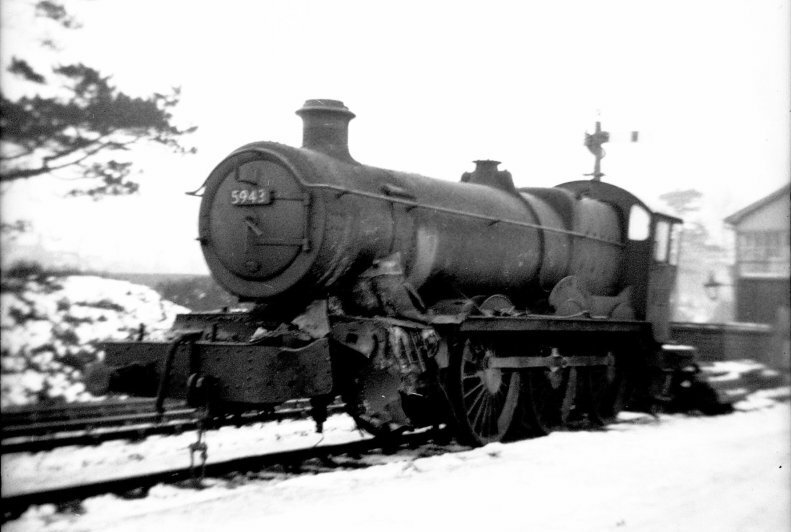 Brian took these photographs on 4th January 1951 when he went to Fernhill Heath to assist in preparing for No.5943 to be towed back to Worcester Works. Elmdon Hall was near to the site of Birmingham International Airport but after a period of disuse the hall was demolished in 1956. 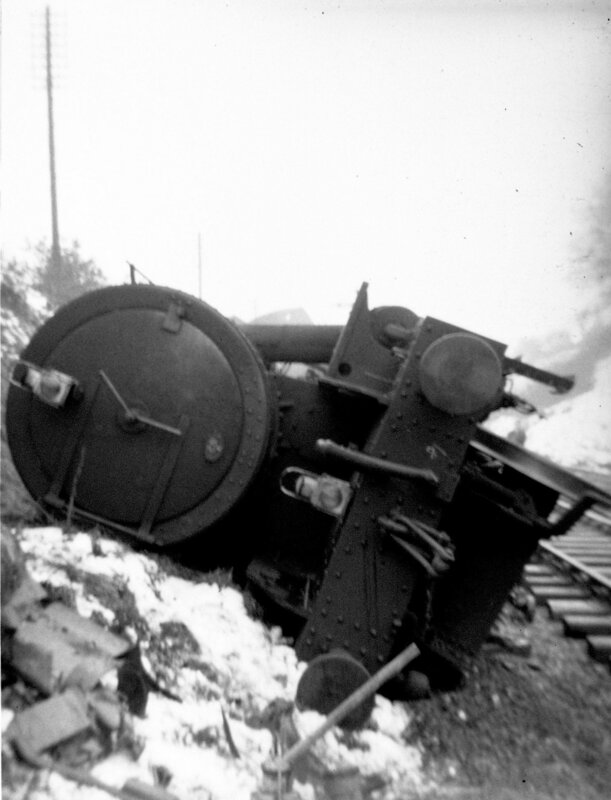 The loco survived a little longer being withdrawn from service in 1963. No.79232 was delivered in November 1944 and after the end of World war 2 it was taken into BR stock and re-numbered as No.90691. It was withdrawn in 1962. Fernhill Heath is a very difficult location for photography. 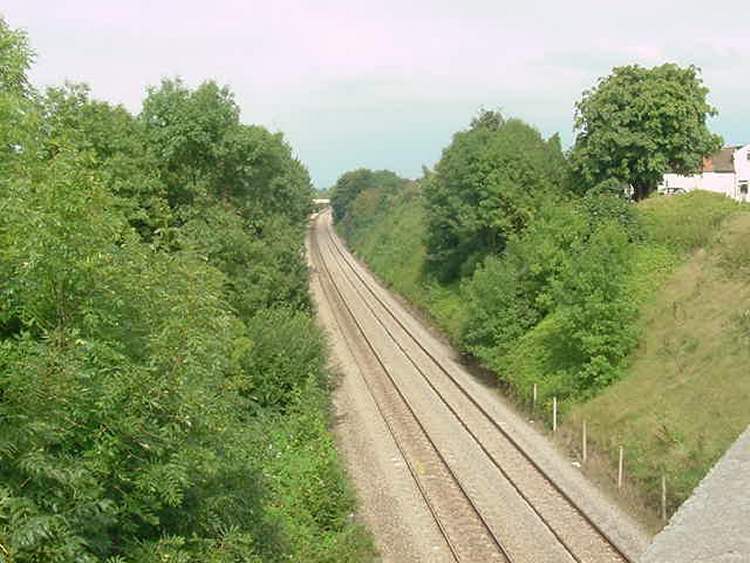 This is because the railway is in a deep cutting as it passes under the Droitwich Road and not easy to access as it goes north towards Droitwich Spa. At the former railway station there is a footbridge over the line and this provides an opportunity for photographs. 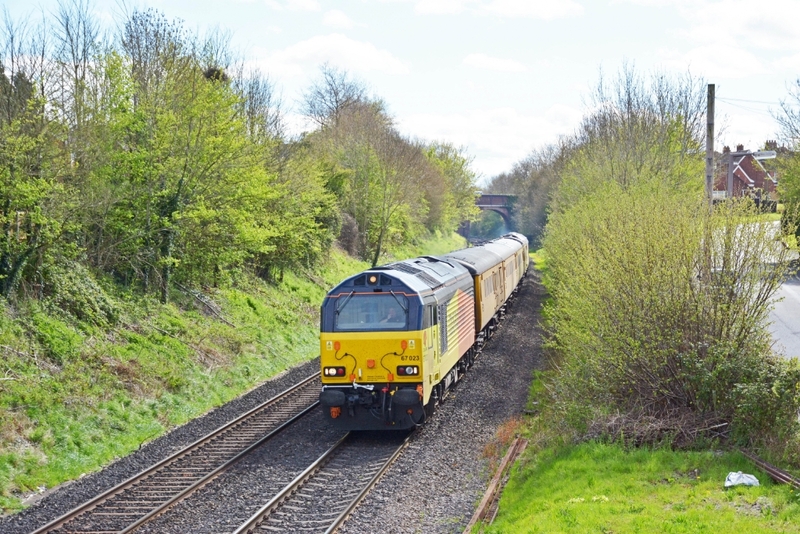 Robert Pritchard took advantage of this spot to photograph Colas livery class 67 diesel locomotives Nos.67023 and 67027 with the New Measurement Train (train code No.1Q15, 06.01 Landore to Derby) on Wednesday 12th April 2017.